Dry & Steam Carpet Cleaning Company SE20 Penge | RDA Cleaning & Maintenance Ltd. The Best Carpet Cleaners In Penge SE20! You should not expect a magical carpet cleaning service procedure that will work for all of you and your carpets.A carpet that is more than 10 years old,or the one with ketchup stains would require special attention. Here's when we come in handy - as an expert carpet cleaners Penge SE20 we are able to provide various effective solutions. Depending on the carpet type, age, stains types, material and textile and etc, we will eventually arrange a deep carpet cleaning procedure. 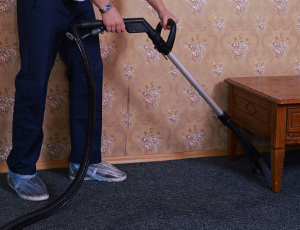 To ensure your safety and the best results possible, we keep a high standard of home & business carpet cleaning Penge SE20 and a good work ethic for all of our cleaners. It is mandatory that they pass 3 months training by Prochem on steam & dry carpet cleaning methods, machine and detergent use. During their first 6 months with us they are accompanied with a senior cleaner who would show them all it needs to become a cleaning expert. Once the job is carried out, they would give you free maintenance advice. Book Our Proficient Carpet Cleaning Penge SE20 Now! So if you wish the services a team of professional carpet cleaners in Penge SE20 that will fully remove all carpet stains & unpleasant smell, then call 020 3404 1646 or use our online booking form and we will be on our way ASAP. RDA Cleaning & Maintenance Ltd. - quality carpet cleaning at irresistible price!